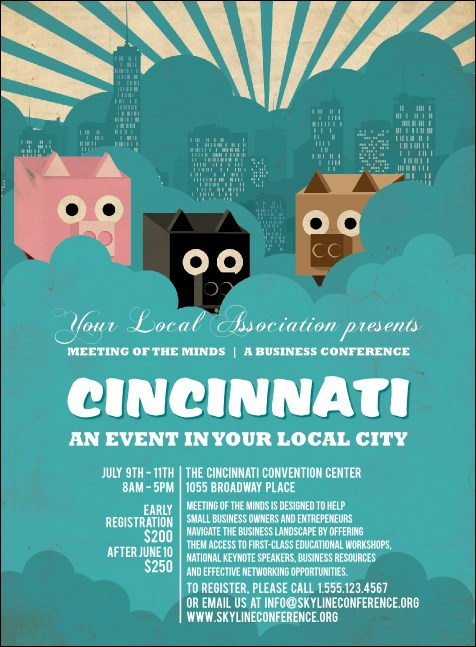 Looking for the right invitation for your next Cincy event? We've got you covered with the Cincinnati Invitation. Guests will appreciate the sweet flying pigs and the great Cincinnati skyline. Create unity in your event planning with a Matching Event Kit. Guests will RSVP ASAP with this invitation! Planning events is a breeze with help from TicketPrinting.com.